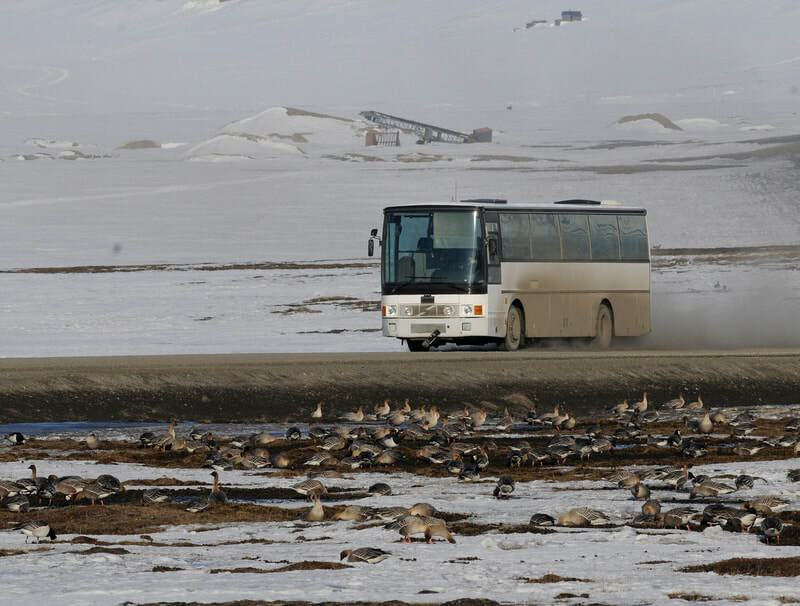 The most numerous goose species on Svalbard (about 80,000 birds). Occurs most commonly on the vegetated parts of Spitsbergen island and the south-eastern parts of the island group. 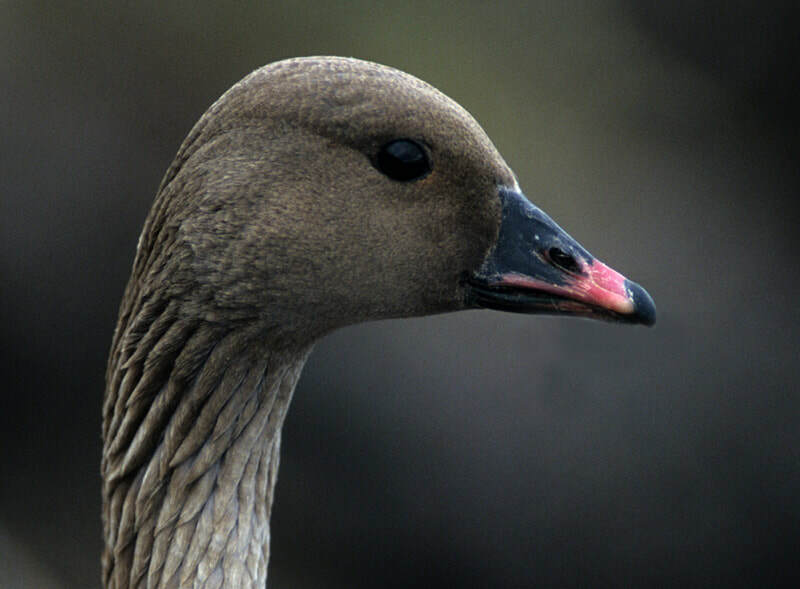 Most often found in pairs or small flocks. 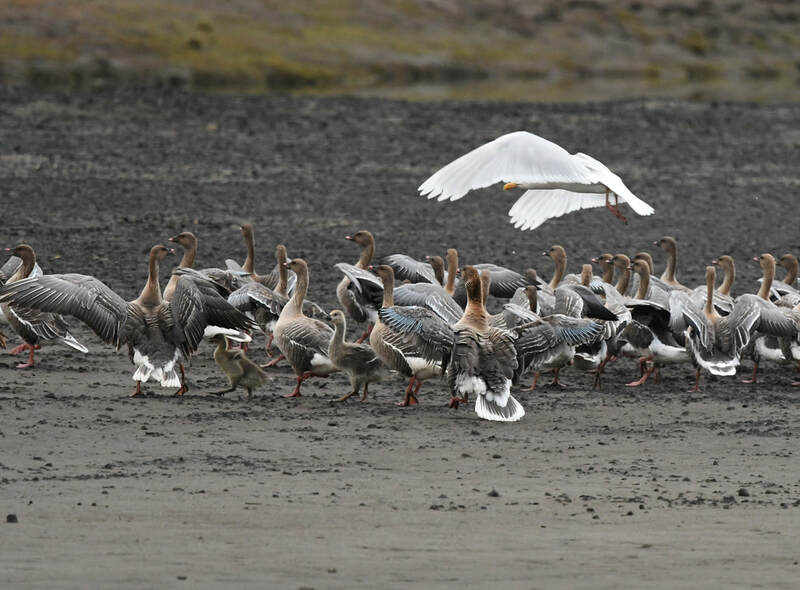 Larger flocks occur at favourable stopover sites shortly after their arrival in May and during the autumn migration in September, as well as during moulting. Features: 64-76 cm. ♂=♀. The male (ca. 2.7 kg) is slightly larger than the female (ca. 2.3 kg). The young resemble the adults. Dark brown neck, bill shape and plumage, also back and leg colour are the most important features for species identification. 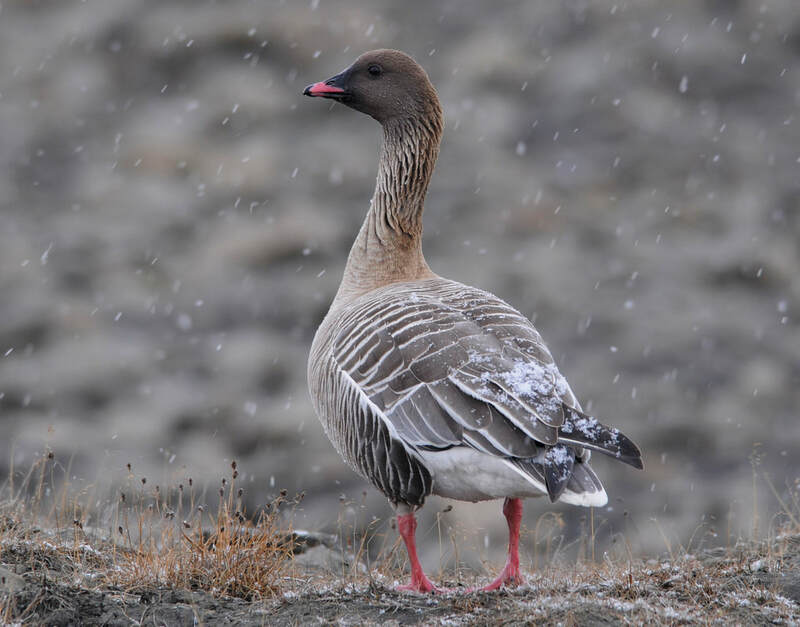 Can easily be mistaken for Bean Goose which occurs extremely sparsely among the Pink-footed Geese on Svalbard. The downy young are pale yellow. ​Breeding: Breeds throughout most of the island group and most commonly on the rich vegetated parts of Spitsbergen island and south-eastern Svalbard. Breeds also on Bjørnøya. 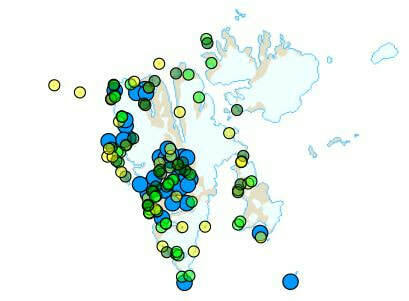 Breeding groups (loose colonies) at favourable places along gorges, cliffs and steep slopes are usual.